100ml. Canon Colour ink cartridge refill kit (100ml. bottles each of Cyan, Magenta & Yellow ink) with detailed instructions & diagrams, all essential refill tools, top quality contaminant free ink for optimum printer performance and picture clarity, (please advise model of printer with your order so as we may send the correct instructions and formula ink). Also included is a chip by-pass procedure where applicable. Note, some printers will continue to give off an ink level low warning when refilled, however, will otherwise continue to print as normal, such is modern day chip technology when you want to try to save money). Most Canon Pixma colour ink cartridges require 3-10ml. of ink to refill depending on the printer model / cartridge part number. The number one rule to successful Canon ink cartridge refilling is inject the ink slowly. If you are unsure as to the capacity of your cartridge, just email for free cartridge capacity information, see link top right of page. We have do it yourself ink refill kits for the following genuine Canon colour inkjet cartridge part numbers BCI3, BCI6, CLI8, BCI21, BCI24, CLI36, CL38, CL41, CL52, CLI511, CL513, CLI521, CLI526, CL641, CL641XL, CL646, CLI651, CLI651XL, CLI670, CLI671XL. 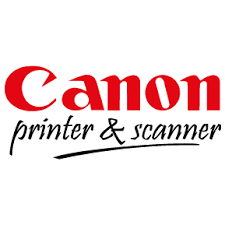 For more free information on Canon ink refills, Canon refill kits, Canon cartridge refill or Canon printer ink supplies, please use the link top right of page to email sales@aaacartridge.com.au with your printer model number.